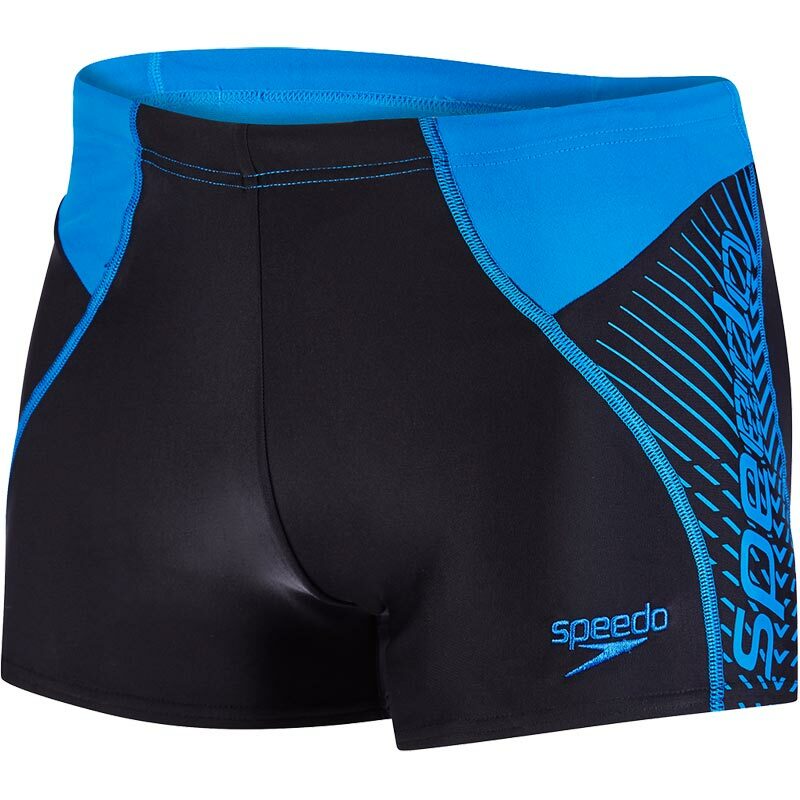 Super sporty looking, the sleek Speedo ® Logo Panel Aquashorts are ideal for regular swim sessions. Made from our Endurance® 10 fabric, they offer fantastic freedom of movement whilst the drawstring waist offers a secure fit. Focus on your swimming thanks to the perfect balance of non-restrictive, secure swimwear that lasts much longer than many other swimwear fabrics. Quick-drying and designed to retain their shape swim after swim, these two-tone aquashorts are the perfect partner for your regular trips to the pool. Comfortable fit – fabric stretches so you can enjoy your swim without feeling restricted. Shape-retaining Endurance® 10 fabric - fits like new for longer. Great prices and choice of designs. Bought two sizes larger than actual waist size as with previous experience they can otherwise be too snug. Not used yet, as for summer hols, but a quality pair of trunks.